Tải game cho android miễn phí, game android hay nhất với các thể loại mới nhất luôn được cập nhật, tải game miễn phí cho điện thoại android. The web server used by Chgame.net is run by Zafin Labs America inc. and is located in Markham, Canada. On this web server 19 other websites are hosted. The language of those websites is mostly english. 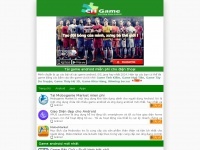 A Apache server hosts the websites of Chgame.net. For managing the data of the webpages the CMS WordPress in the version 4.2.7 is used. The website uses the latest markup standard HTML 5. The website does not specify details about the inclusion of its content in search engines. For this reason the content will be included by search engines. Server provider: Zafin Labs America inc.